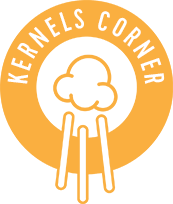 By Kernels Popcorn | Mar, 2017 | Tagged " Kernels Corner "
Our Kernels website has a new feature with a Live Chat button on our Home page. And who better to be our Live Person than Brian Bird, our Marketing Manager. Brian started his career at Kernels at a young age as Part-Time Staff at our Bramalea City Centre location and was promoted to Store Manager after completing his studies in Radio Broadcasting. And most recently, he has joined the Kernels Head Office Team as Marketing Manager. Brian is also an active play writer and actor in his spare time. His passion for both popcorn and plays drives him to be the best he can be at work and at play. Although we are not live 24/7, Brian is chatting up a storm on those days he is in the office. Visitors to our website have enjoyed the instant contact with a live person and when we are offline they can leave us a message with one click and we will reply to their email as soon as we can. This is just another way of providing extraordinary customer service! One question we have received several times is "Where do I register my gift card?" If you are getting the same question at your counter you will want to direct them to the home page on our website, ask them to click on "Order Online" (below the images on our home page) and they will find a button at the bottom of this page to register their card. I received this email from a customer in Red Deer: "Hello, I recently had an unpleasant experience at the Kernels store in Bower Mall, Red Deer, AB, and I'm so glad this visit made up for that. My sister and I visited the same one again this afternoon and were blown away by the customer service! AWESOME! AWESOME! AWESOME! I regret not getting her name but she had short blonde hair with glasses. She was incredibly friendly, went above and beyond to ensure we left happy. So energetic! My sister and I were both laughing and smiling our entire visit with her! We were both a little unsure of what flavour we wanted and she could not have been more helpful narrowing it down... She actually had us leave with 4 flavours!! Sounds silly to say but 'that girl knew her popcorn'. And she really did!! Awesome to experience employees genuinely enjoying customer service! We left and could not stop talking about our visit there and how awesome the girl was to us! And all the popcorn was amazing! Thank you so much! From Trisha, Red Deer Alberta. A Popstar reward is on its way to Kay at Kernels Bower Place. Thanks Kay for being Awesome! And from Eaton Centre North, Jonathan gets rave reviews!! We received a call from a customer who wanted to let us know how helpful Jonathan was when she called the store to order a party bag of Kernels. Johnathan took the time to answer her questions and his patience and politeness was greatly appreciated by her. Thanks Jonathan for being a Kernels Popstar and enjoy your Popstar reward! !